Topical Discussion/NCECA Connection Proposals are Due Soon! It’s hard to overstate the importance of Topical Discussions and NCECA Connections when it comes to NCECA’s programming. You’ve probably attended one of these sessions, and you might not even know it. For the uninitiated, Topical Discussions are an opportunity for members to put on small, informal seminars about things they are passionate about. Do you possess a specialized skill or technique that you think might benefit the broader NCECA community? You should put together a Topical Discussion. 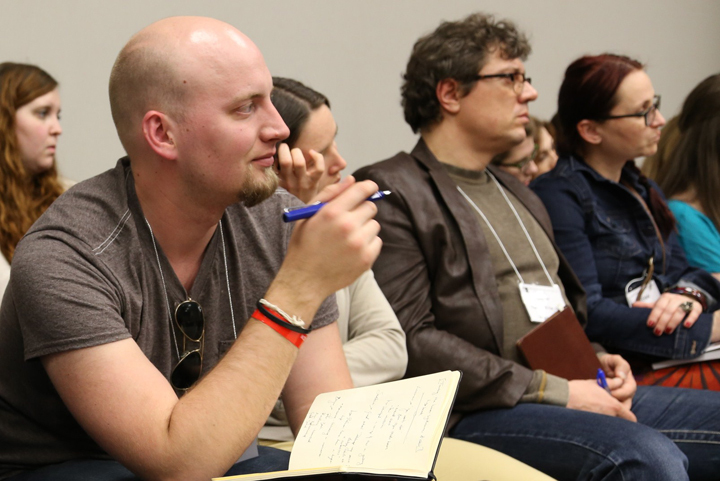 NCECA Connections are opportunities to rally a group of people with similar interests for a lively discussion, or even to take some sort of action. Last year’s Topical Discussions included a wildly successful professional development panel by NCECA’s 2012 Emerging Artists. 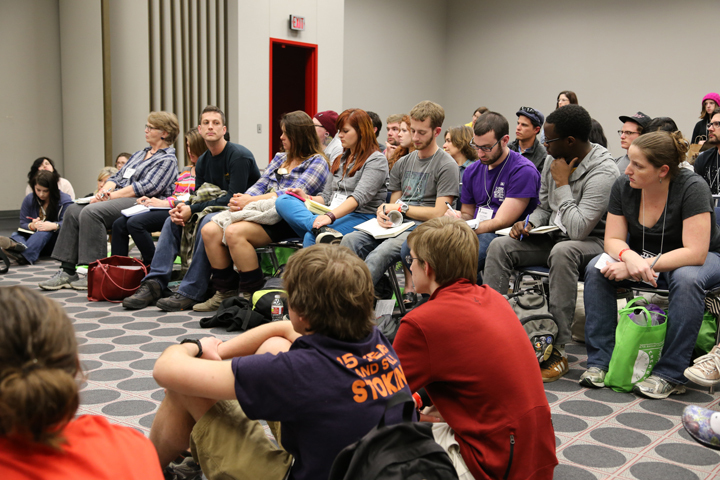 In front of a packed house, the Emerging Artists spoke about what they are currently doing to develop their careers. One of my favorite things about this panel was that they each spoke at length about failure, and the ratio of rejections versus successes. As anyone who attended the panel will attest, the Emerging Artists were simultaneously inspiring and reassuring. Other topical discussion groups included Danielle McDaniel’s presentation on starting a ceramic co-op and Stephanie Rozene’s presentation on writing and research as an integral part of studio practice. Michael Strand attracted a very motivated group for his discussion of cravtivism and social practice within ceramics. There were also material/technique-specific groups like David Collins’ discussion of large-scale slipcasting (and the disasters that can befall the practitioners thereof) and Andre Bally‘s exhastive, informative group that centered around sandblasting in ceramics. Did I mention that Arnold Howard of Paragon Industries gave an amazing clinic on electrical kiln maintenance that saved the sanity of more than one person in attendance. For this Connection, the always-energetic Niki Johnson served as Mistress of Ceremonies, fostering short, weird conversations among the participants on all sorts of ceramic topics designed for discussion and disagreement. Sadly, I didn’t get to see Niki at work, but I heard plenty of rave reviews after the event. Topical Discussion proposals are due by October 2nd. I want to see how you’re going to top a ceramic speed dating event. You can find all of the specific information about submissions on NCECA’s Topical Discussion/Connection page HERE. You don’t have to write an epic description of your proposal… just let us know what you’re trying to accomplish in 200-400 words. Now is the time to share your gifts with the NCECA community, or rally your comrades to your side.